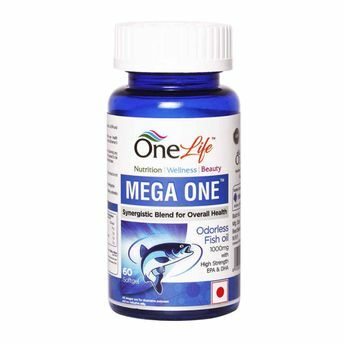 Mega One for Cardiovascular Health protects against age related cognitive decline such as dementia and Alzheimer's disease. It promotes heart health. It is an ideal supplement for people who wish to have normal blood pressure and cholesterol levels. It is also helpful for people who have eyesight problems. This capsule also promotes heart health. It is also advisable to be consumed by people who need long term bone & joint strength.